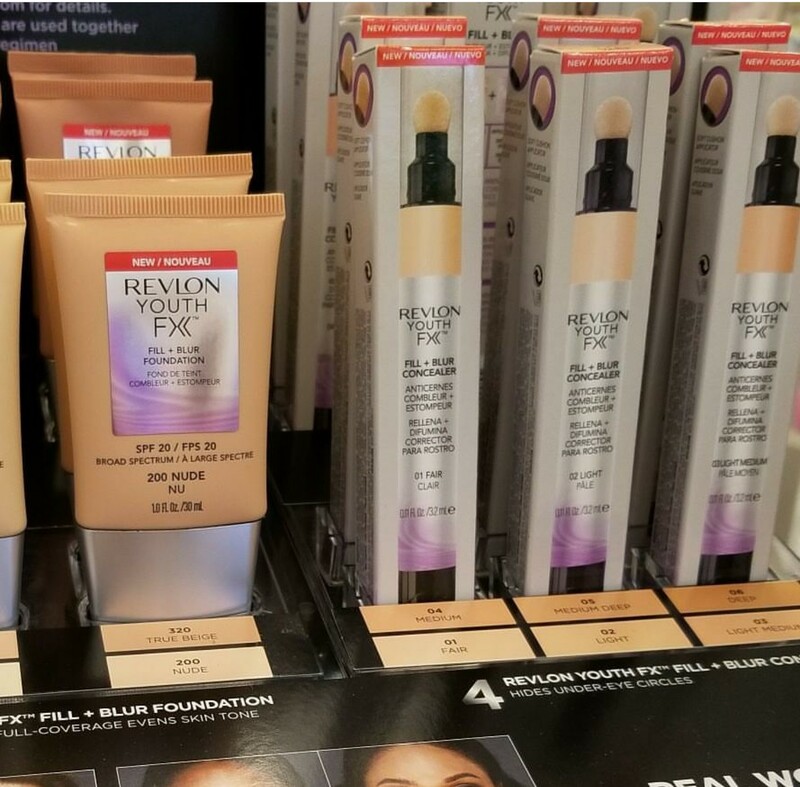 Revlon Youth FX is a brand new line for Summer 2017 that targets fine lines and wrinkles with four different fill + blur products. 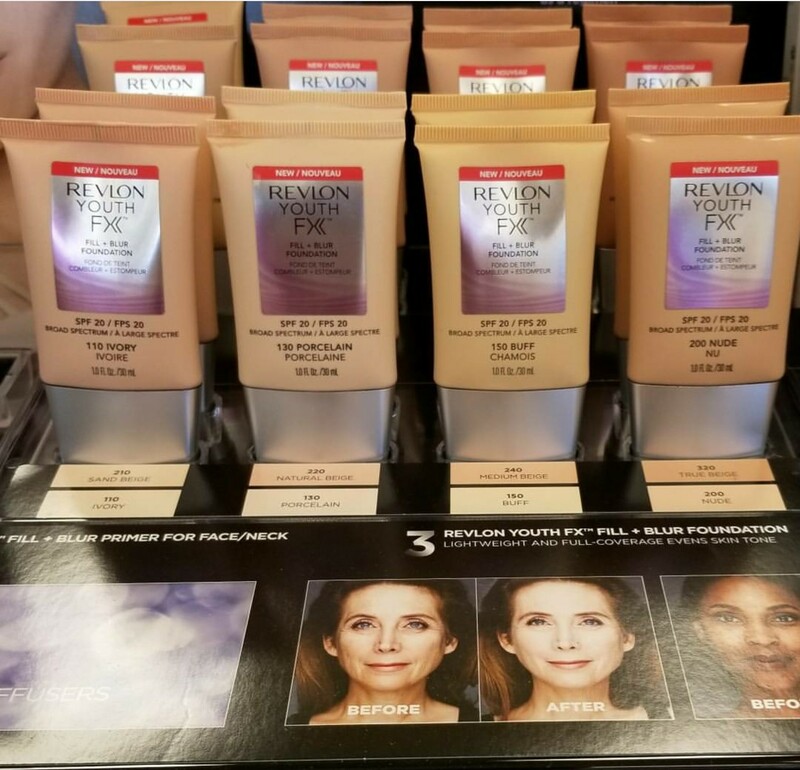 These have been popping up this week in Rite Aid stores and I have photos thanks to @thebeautyroom1020 who was kind enough to tag me in them! Here's a shot of the full display featuring Gwen Stefani. It claim to make you "look years younger in seconds" with 4 targeted products to instantly fill + blur lines and wrinkles. 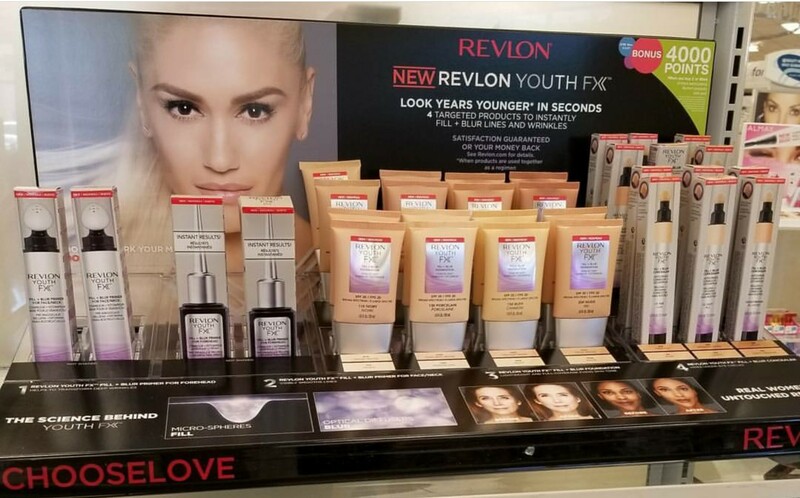 It also says that Revlon is offering a money-back guarantee on Youth FX. The first two products in the Youth FX line are primers...Fill + Blur Primer for Face/Neck and the Fill + Blur Primer for Forehead. 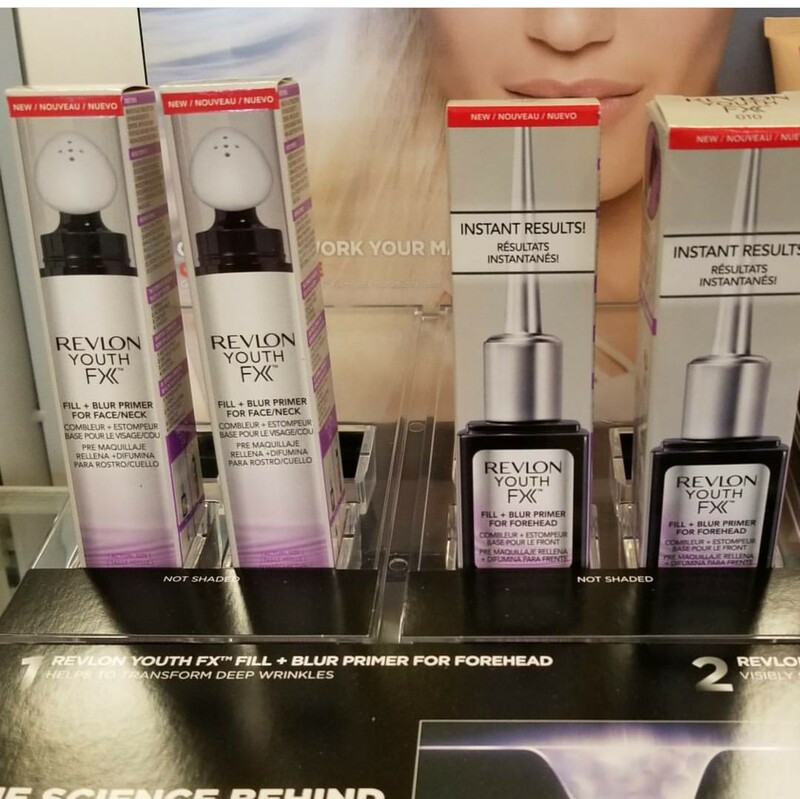 If you're wondering why there's one for your whole face and a separate primer for the forehead, you're not alone...I was confused by that too, but I was able to find out more about them on Revlon's website. Apparently, the Face/Neck primer smoothes lines all over your face, but the Forehead version specifically targets deeper wrinkles. It has a little brush applicator that you can use to get the product right into the areas you want to see results. Both products claim to have micro-fillers and optical diffusers that fill in and blur fine lines and wrinkles instantly. 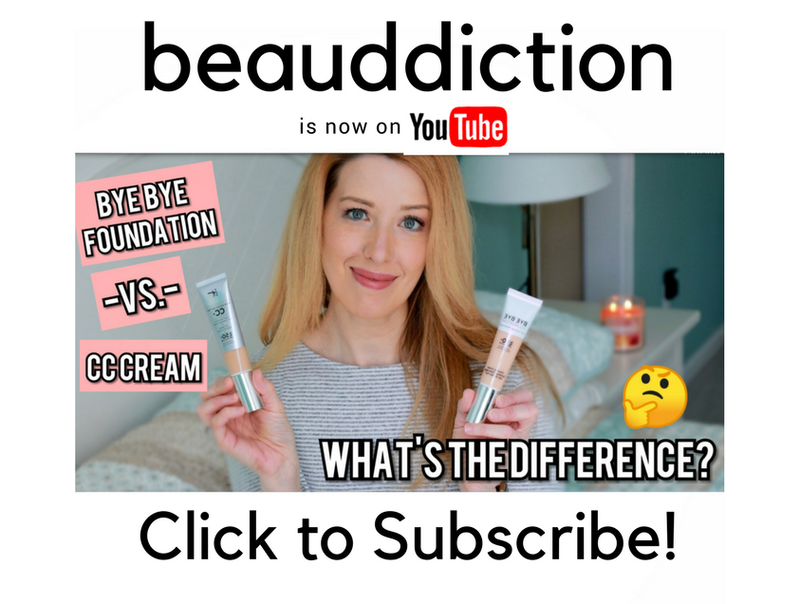 The next two products are the Youth FX Fill + Blur Foundation and Fill + Blur Concealer. The Fill + Blur Foundation claims to be a lightweight, hydrating formula that provides high coverage. It's supposed to "erase the look of uneven tone, age spots, and hyperpigmentation" while filling in and blurring lines and wrinkles. The display in the photos is showing 8 shades but there are actually 12 shades on the Revlon website. The Fill + Blur Concealer comes in six shades and claims to be a "lightweight, hydrating formula that works to fill in and blur fine lines and wrinkles with micro-fillers and optical diffusers". It also has color correcting pigments to help erase dark circles and claims to "dramatically transform the appearance of crows feet". Sounds like a miracle in a tube! It appears to have a cushion applicator similar to the Maybelline Age Rewind. To be completely honest, Revlon hasn't been wowing me the past few years with their offerings but this is the first time in a while I'm excited about a Revlon launch. I'm always a bit skeptical when a product makes such lofty claims but Revlon has always done foundations and concealers really well in the past so I'm cautiously optimistic! 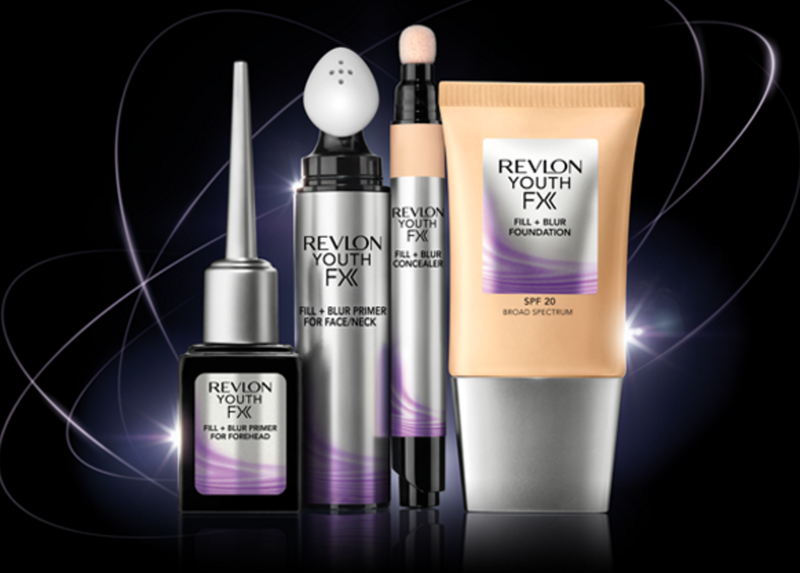 I'd love to hear what you guys think about the new Revlon Youth FX line! Have you seen this in stores yet? For more information check out the Revlon Website.